Whether you’re recruiting for a small business or a Fortune 500 company, it’s important to get your job openings in front of the right audience at the right time. By integrating directly with Facebook Jobs, iHire now offers employers yet another tool to promote their opportunities. Post once and you’re done! 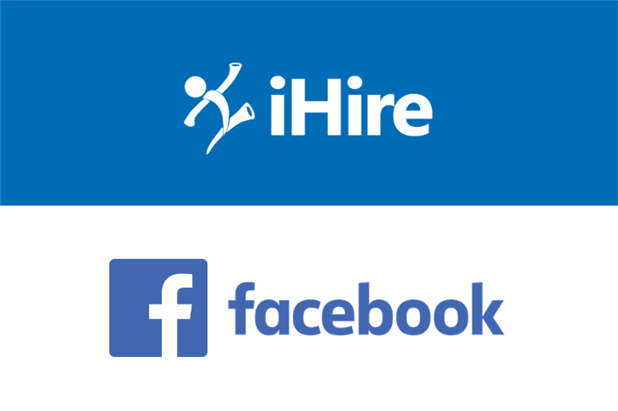 When you advertise with iHire and opt to receive applications on our site, we’ll send your job posting information to Facebook so they can add it to your business page. Once on Facebook, your open position will be available to a wide audience. Facebook job postings are displayed on users’ News Feeds, which means you will be able to reach active job seekers and passive candidates as they’re scrolling through social posts. It’s easy for applicants AND hiring managers! Hiring on Facebook is designed to be simple and easy. Facebook users who find your job posting and decide to apply never even have to leave the social media site or your company’s business page. All they have to do is fill out a short application form and their information will be sent directly to your dashboard on iHire. From there, you can manage all of your candidates using iHire’s intuitive hiring tools. iHire is dedicated to making it faster and easier for employers to find the right talent. Similar to our integration with Google for Jobs in 2017, partnering with Facebook is just one more way for us to streamline the hiring process and help recruiting organizations of all sizes reach the most qualified candidates possible.